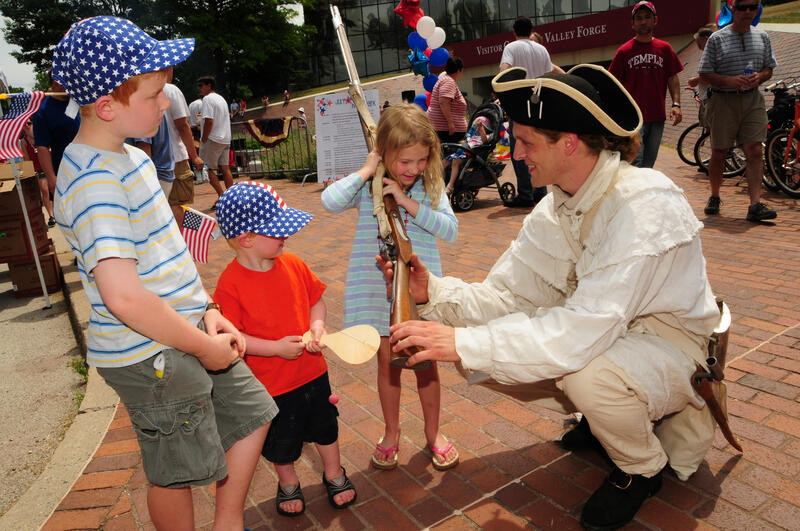 Celebrate our nation's independence with blackpowder demonstrations, historical games, an All-American cook-out, music, and more! Meet one of the founding fathers and sign the Declaration of Independence. 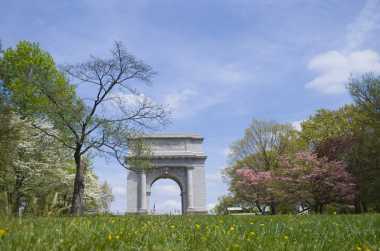 Learn about the birth of the nation and the pivotal role the Valley Forge Encampment played in securing our freedom from Great Britain. Listen as Once Upon A Nation storytellers share riveting stories of the Valley Forge encampment and how it became a turning point in the Revolutionary War. Benches are located on the Train Station platform at Washington's Headquarters, in front of the Visitor Center, and near the Muhlenberg Brigade Huts. George Washington needs your help! There's rumor of a plot to have him kidnapped at Valley Forge. Be the first to enlist and join an American spy network to uncover the traitors involved. 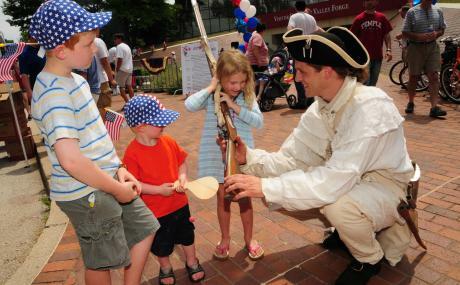 The program is presented with children in mind, but fun for participant's of any age! Listen to the magnificent music of one of the world's largest carillons. Concert is free.